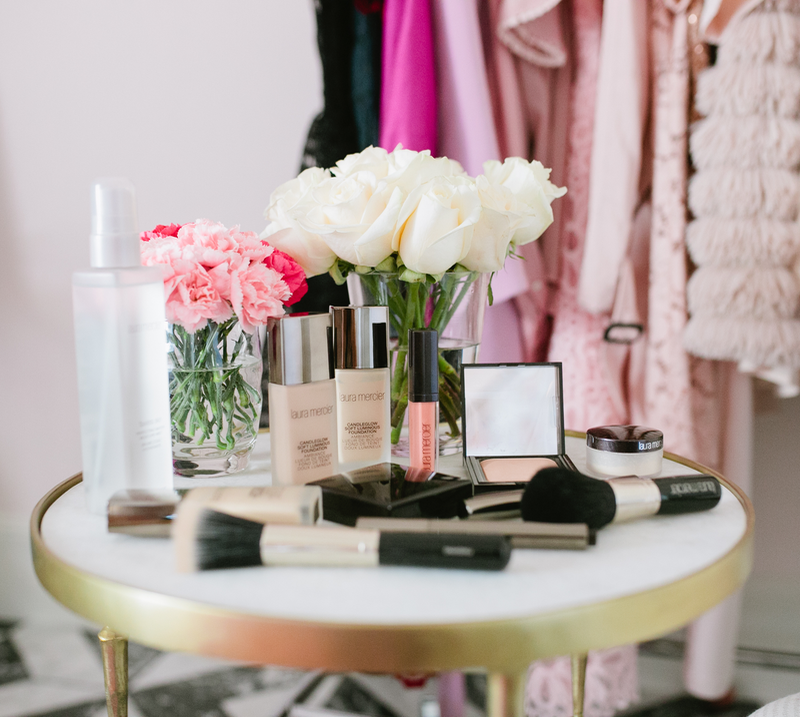 I get a lot of questions about my makeup routine and what my favorite beauty products are, so today I thought it would be fun to share with you a few of my newest must-haves to add to your beauty drawer! 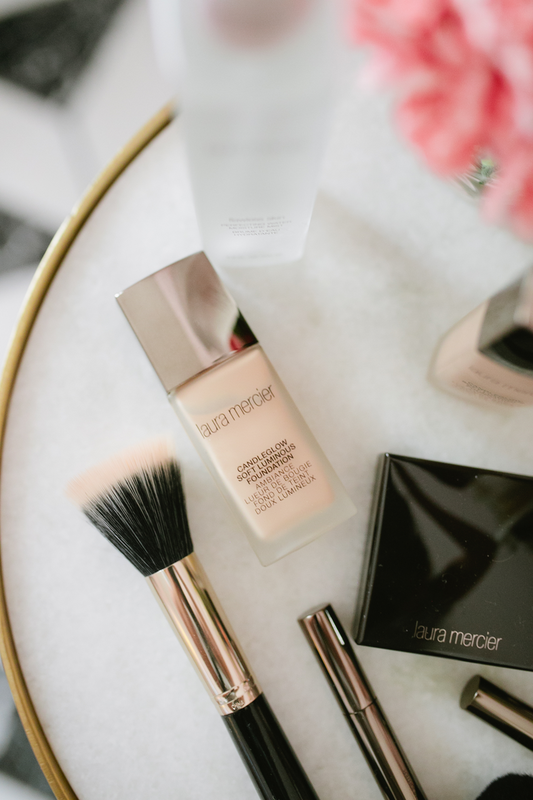 I’ve always loved Laura Mercier products (I’ve used their tinted moisturizer ever since I can remember!) so I was SO excited to try a few of their newest products from their new Candleglow Collection! This might sound cliche but these products really give my skin the prettiest, softest glow; almost like an airbrushed look! We had family photos a couple weeks ago and after trying out these products I knew I wanted to use them when getting ready for these photos. I’ve tried a lot of foundations over the years, but this one has quickly become my new favorite! This highlighter and concealer gives me amazing coverage (I really love the unique applicator too because it lets you pat and blend into your skin perfectly! It lightens shadows and tones down dark spots) and it’s ideal for ALL skin types. And this Sheer Perfecting Powder leaves my face with this gorgeous, warm candlelit glow and what I love most about it is it doesn’t feel or look cakey! (Nothing is worse than feeling like you have an inch of makeup caked on your skin all day, right?!). 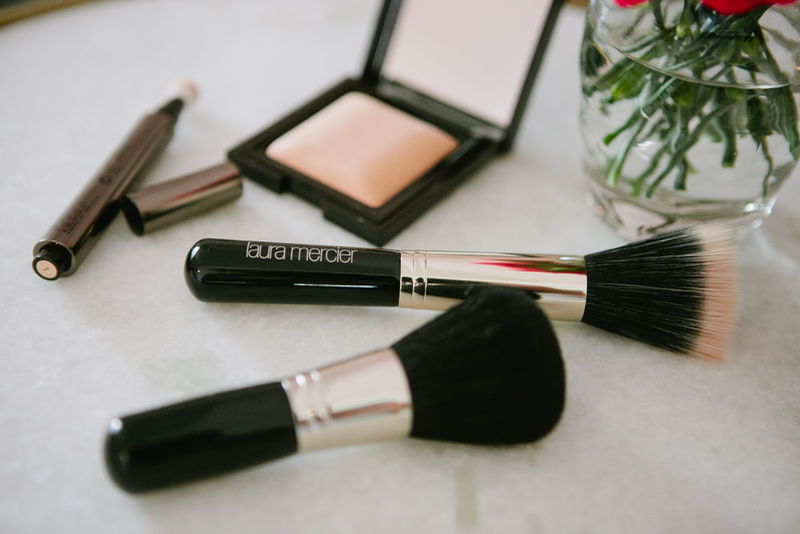 If you already love Laura Mercier products (like me!) then you have to try out these new products! And if you do, be sure to let me know how you like them!! Have a great weekend! Brought to you by Refinery 29 and Laura Mercier. 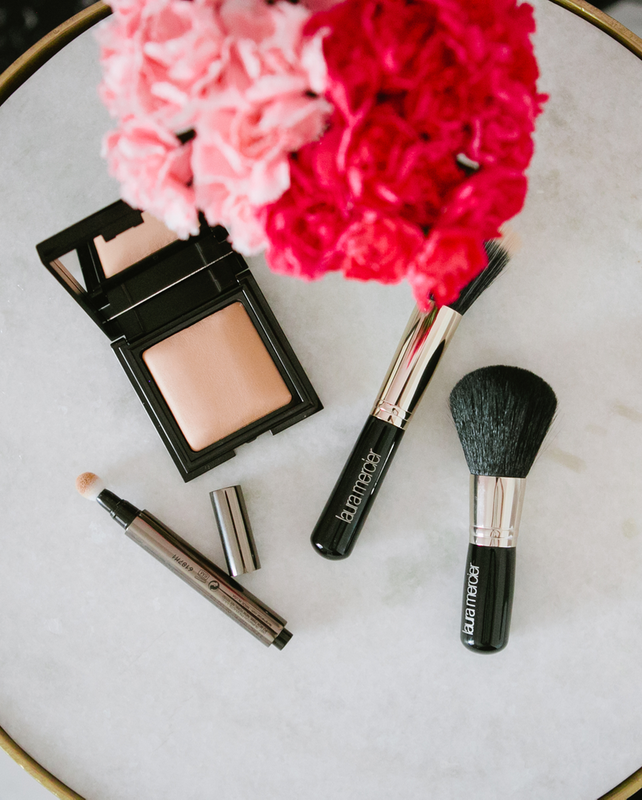 Laura Mercier always have the best products! I definitely want to try the perfecting powder! Great products! Love Laura Mercier! Love Laura Mercier! Definitely have to try some of these new products. Thanks for the recommendations! I love Laura Mercier! Their makeup is just absolutely gorgeous. I use their translucent powder every day, but am itching to try their foundation or tinted moisturizer! 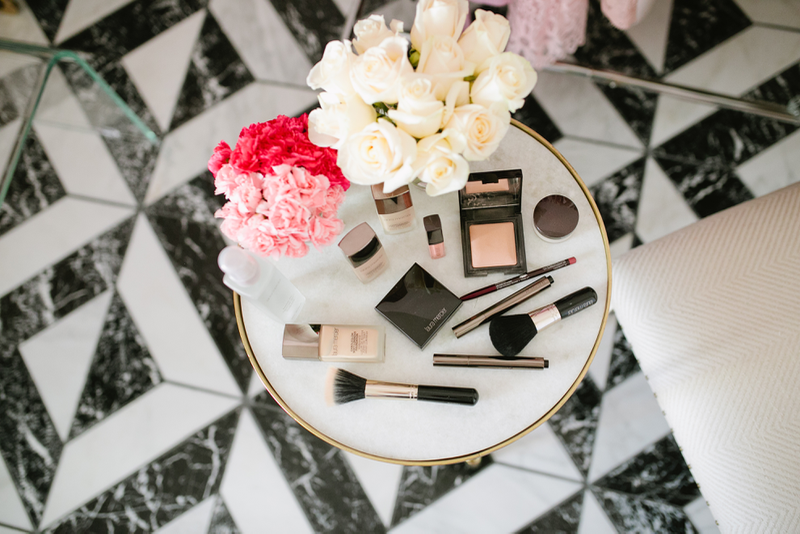 Love all the pretty makeup shots…such great inspiration! I’ll have to try these out! look awesome! I really like the shade of that lip color! It’s the perfect shade. I’ve never tried any Laura Mercier products but I think I’ll give the foundation a try. Your office is so gorgeous! Love these photos! So pretty! BTW Love those jeans! Loving these photos. That lipgloss is perfection! allow guest posts? I can write hi quality posts for you. Great post Rach, I always love your makeup! 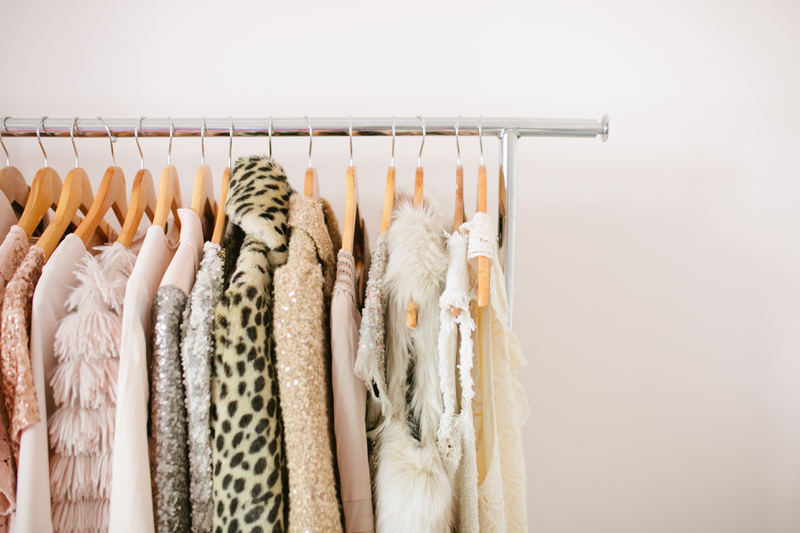 You’re such a style inspiration and icon… I love that cozy, pink sweater that you’re wearing. Where is it from? Also, the color coordinated clothing rack behind you with the leopard pop is so perfect. You’re just awesome! Laura Mercier is my absolute favorite! I’ve tried other brands but always go back. I’ll have to try the new Candleglow Collection! I LOVE this pink sweater! Beautiful!!! By the way, loving your new office space! What happened to your last one? Didnt you finish it recently?! Unless maybe this one is outside the house and thats why! Just wondering, but I CAN NOT wait to see how you decorate it! Love ya girl!! Love the natural look of the makeup! Love all of the pretty pink pops and sparkle! I Want to tell you that I admire you, you are a beautiful mom and a super worker girl, you inspire me! I love hearing other women’s makeup routines because it always prompts me to rethink my own! I love finding new amazing products to replace the ones I am iffy on. 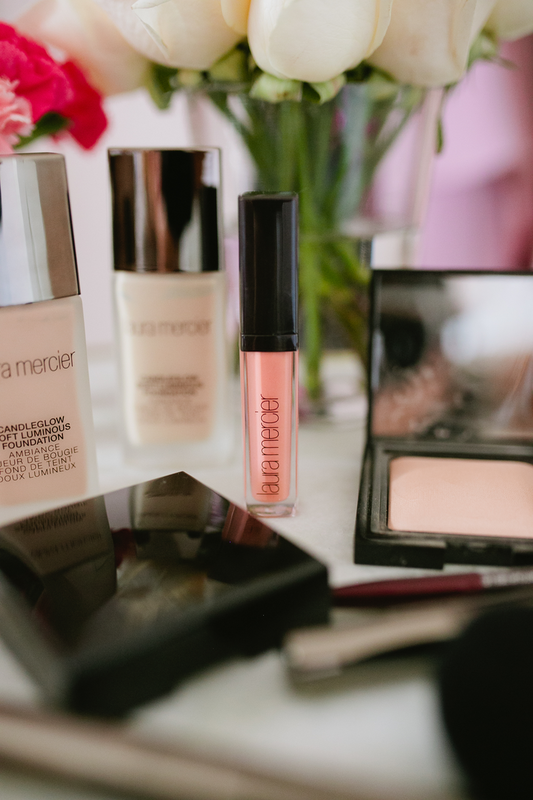 I just adore Laura Mercier, her products are such good quality, so I’m sure this collection would be just as lovely! Obsessing over your beautiful photos, too! Rach, I love your sweater in this post..can you please provide some details…thanks in advance! Love it all! Would you mind sharing what color foundation you used? Thanks! which of these would make your skin glow without makeup? you look gorgeous as always! Your skin really does look glowing, now I want to buy the candleglow foundation! 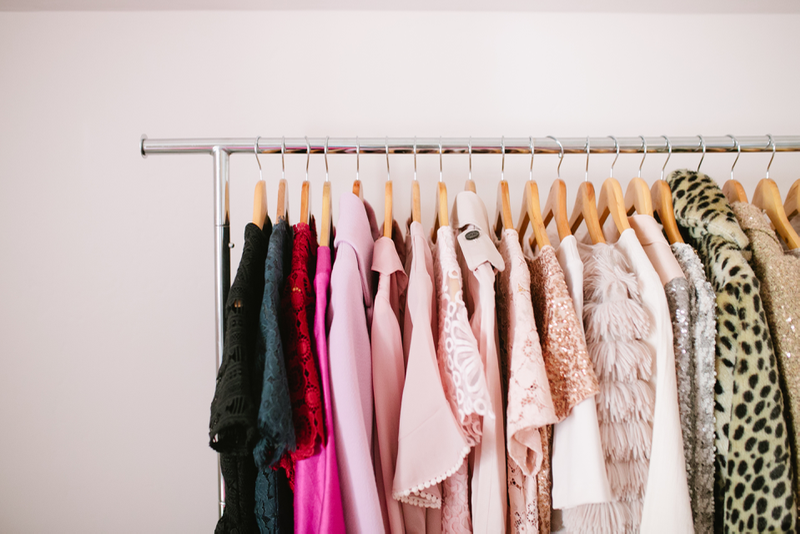 Love your pink sweater, who makes it?